When I was a youngster growing up, my dad had a Sears Craftsman radial arm saw, a Rockwell radial drill press, and some old table saw. And they were all in a very wet, and sometimes flooded basement. But he and I managed to do a lot of woodworking in that basement. When I was first married, I moved into a small 1½-story home with a basement. No garage. Guess where I decided to put my shop? Yep. In the basement. But I couldn’t afford a lot of tools. I did manage to buy a new Craftsman table saw. (In the small town where I grew up, the only source for woodworking tools was Sears.) But the table saw was the only new tool I owned. My first router table was a 2×4 base with a plywood top. I think it was in one of the first issues of Woodsmith magazine. Oh…my Craftsman router was the one other new tool I eventually purchased. I didn’t own a drill press. Or a real woodworking bench with a face vise or tail vise. My bench was a sheet of plywood on a 2×4 base. But you know what? I did an awful lot of woodworking in that basement with those basic tools. I built all new kitchen cabinets, a grandfather clock, a glass-front cabinet for audio equipment, and a host of smaller projects. I didn’t own a jointer. Or a thickness planer. Or a fancy cabinet saw. Or a dust collector. So when I pick up a woodworking magazine today, I wonder if the editors (myself included) are really doing their industry a disservice. Would we be able to attract new readers if we weren’t presenting the impression that you needed a shop full of the latest tools? I sometimes wonder. Now my shop has a nice hybrid saw with a sliding table. And my dad gave me his old Rockwell radial drill press. I still don’t own a jointer. And I didn’t purchase a thickness planer until just a few years ago. I still have the same old router table, but I’ve upgraded the top. And I have a 14″ band saw that’s a relatively recent addition. 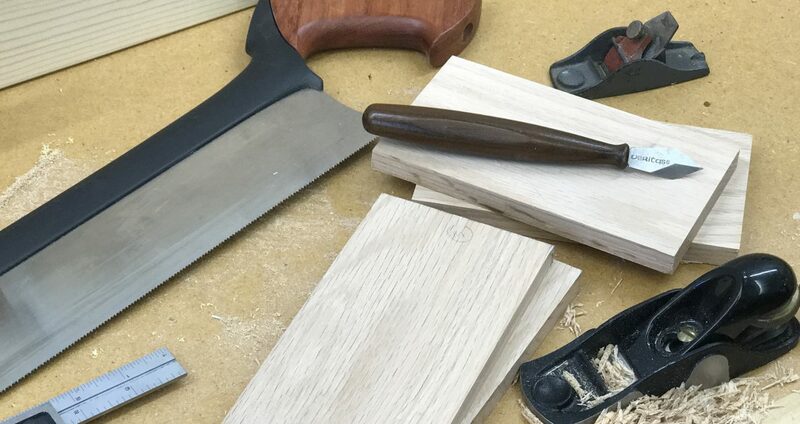 The point is, you can do a lot of fine woodworking with basic tools. You just need to know their limitations and not use them in a way that compromises safety. Now, get out there and build something! Posted on March 5, 2010 by Randy MaxeyPosted in WoodworkingTagged Tools, Woodworking.